The desktop versions of these powerful GPUs wowed us when they first hit the scene, and now they're officially available on laptops. PCWorld named the GTX 1050 and 1050 Ti the new budget gaming champions, hands-down, when the desktop graphics cards crossed our test bench late in October 2016. And as with Nvidia’s beefier GTX 1060, 1070, and 1080 mobile variants, the new GTX 1050 and 1050 Ti lack the “M” designation that laptop GeForce chips used to carry because they’re essentially as powerful as the desktop cards, with performance differences falling under 10 percent per the reviewer’s guide. The GTX 1050 and GTX 1050 Ti for laptops pack the exact same number of CUDA cores as their bigger cousins, and actually boost to slightly higher speeds—1493MHz for the GTX 1050 and 1620MHz for the GTX 1050 Ti. 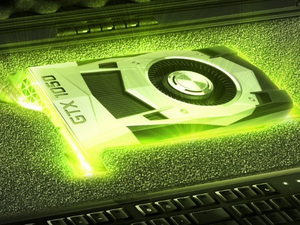 Nvidia’s also touting the overclocking ability of the two new offerings, boasting that its new 16nm “Pascal” GPUs offer three times the overclocking potential of previous-gen 28nm “Maxwell” GPUs. The GTX 1050 and 1050 Ti also enjoy all the other features added to Nvidia’s new Pascal-based graphics, like improved DX12 performance, Ansel super screenshots, Nvidia’s performance-boosting multi-res shading tech, and more. Beyond Pascal’s inherent power efficiency, the mobile GTX 1050 and GTX 1050 Ti variants also support Nvidia’s new BatteryBoost technology. BatteryBoost offers up to 30 percent more endurance than Maxwell-based laptops, thanks to a mixture of system optimizations with laptop vendors, a “User-Defined Maximum Frame Rate” feature that lets you cap your frame rate for increased energy efficiency, and custom On-Battery Settings that allow you to flag more arduous graphics features for use only when you’re plugged in. 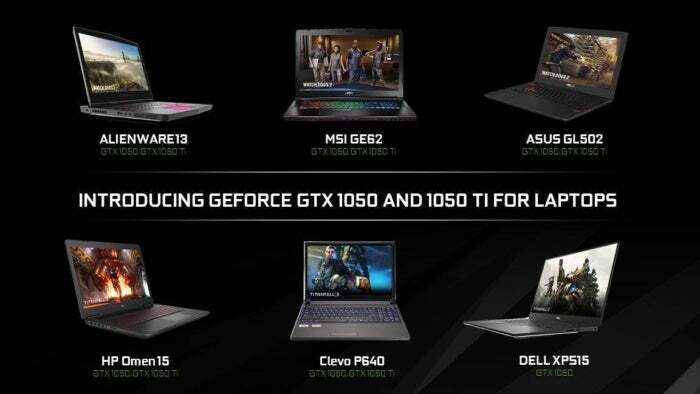 You should be able to game at 1080p resolution at a decent clip on GTX 1050 laptops, and Nvidia says to expect notebooks from Acer, Alienware, ASUS, Dell, HP, MSI and others for prices starting around $700. We’re already seeing these laptops trickle out—on Tuesday morning, Lenovo announced new gaming laptops featuring Nvidia’s new chips, and it sounds like plenty more are sure to follow at CES 2017.